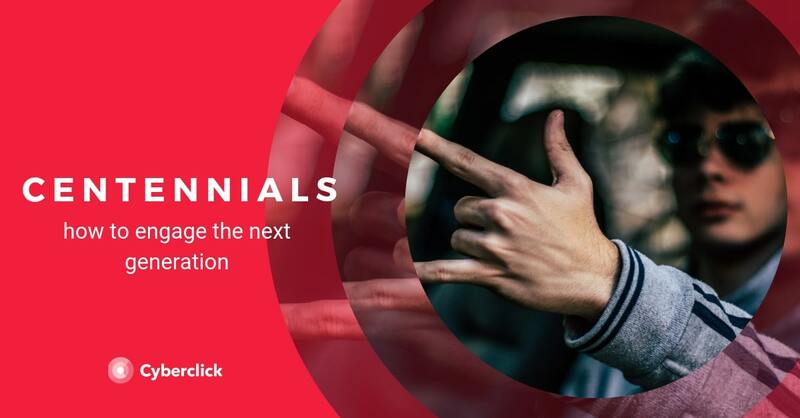 Just when marketers thought we were beginning to understand the millennials, it’s now time to think about the next generation: generation Z or centennials. Experts in digital marketing group people who are born around the turn of the century, that is, today's teenagers (between 13 and 18) under the label generation Z or centennial. Understanding their needs and the characteristics that make them unique is imperative to connect with them. What shapes the centennials and how can you engage them with your digital marketing? Generation Z has an increasingly prominent purchasing power. On average, Generation Z spends 220 US dollars online and 169 US dollars offline on consumer electronics over a period of six months. For clothing, it's $188 online and $177 offline. And for toys online 161 US dollars (offline 131 US dollars). Centennials lead in time spent online. Generation Z is the front-runner in all things mobile and digital, spending an average of 11 hours a week, not including work and e-mail. Regarding social media use: 49 percent are online at Instagram several times a day, while 43 percent use Snapchat every day. Surprisingly Facebook is still in first place with 59 percent. Twitter is less relevant with 23 percent. They are digital natives in their own right. While the older generation still remembers life without the internet, today's teenagers have virtually been born and grown up with technology. In short, it is a fully integrated factor in their lives, so calls to nostalgia will not work as well as with millennials. They are less idealistic and more practical than the previous generation. Millennials grew up in a world before the economic crisis, where it was assumed that each generation would have a better life than the previous one. In contrast, centennials know that options are limited and that to succeed is not enough to try. The result is a more pragmatic and pessimistic view of the world: 68% of centennials fear not being prepared for the future and 60% prefer to be guaranteed that they will never be poor before having the chance to become a millionaire. They are less consumerist. 72% of centennials consider that "having new things" is overrated if needs are met. Lower consumerism is reflected in their attitude towards following fashion trends in clothing, which only concerns 47%. When millennials were adolescents, in contrast, 65% confirmed to follow latest trends. Therefore, centennials pose a new challenge to brands to convince them that their products are truly necessary. As kids of crisis, centennials are socially committed. They are skeptical when it comes to politics and they care about maintaining the sustainability of the planet. Therefore, green brands with a strong social commitment have more points to conquer them. In terms of their weight in the population pyramid (and therefore in the market), centennials are a smaller generation than millennials, but they already have a great impact. At present, people between 0 and 18 years old account for a quarter of the world's population. Centennials are careful when making their purchasing decisions. Far from acting on impulse, almost three quarters of the young people interviewed said they took their time investigating prices, reading product reviews and comparing different brands. Centennials make more offline purchases than millennials. Although most of their research is carried out online (only 5% claimed to do it in the store itself), the final purchase is made in a physical store more frequently than in the case of the previous generation. We see therefore that it is key to integrate online digital and offline marketing. Centennials are concerned about quality. Nearly 75% of the young people interviewed valued quality over price. And to determine that quality, online reviews are key. 95% of centennials search and read online reviews to decide on a product, and almost half would not buy it if there are not enough opinions. 60% read at least four online reviews before deciding to buy. Centennials need quick answers. Constant access to technology has made today's consumers more impatient than ever. If they do not get the answers they are looking for quickly, they will go to a competitor's page. Centennials need interaction at all stages of the customer journey. According to the study, to establish a relationship with this generation it is not enough to have a single point of contact. The ecommerce must work in a coordinated way with the physical store to create a unified experience. The brands have to welcome the users and involve them in all phases of the purchasing process. Ready to approach the centennial generation? These tips will help you create a more effective digital marketing strategy to engage today’s youth. Focus on audiovisual content. Centennials continue to consider television an important medium, but complement their consumption with that of YouTube. In fact, this is the generation that massively follows the influencers of this channel. Use the networks that interest them. If Facebook were a country, it would be the largest in the world in terms of inhabitants ... but it does not get the centennials as excited anymore. Look for them on sites like Snapchat or other networks with a younger profile. Respects their privacy. New consumers do not want other people to gossip about what they do through social networks, so they are much more cautious of their privacy. This is precisely the appeal of networks with ephemeral content like Snapchat. Therefore, if you want to connect with them, you must be very careful with this aspect and not launch actions that may be considered invasive. Be quick. As they’ve grown up with technology, centennials have become accustomed to instant rewards. In fact, it is said that their attention lasts only 8 seconds before moving on to something else. Whether this is true or not, the fact is that long loading times and cumbersome processes make them desperate. Offer them what they want without having to go through loops or unnecessary complications. Be sustainable. As we have explained before, the centennials are a more frugal generation and more aware than the previous ones. Waste and excessive consumerism are not their thing. To stay relevant, your brand will have to show that you care about social issues and is not just ‘greenwashing’. Provide quality and differentiation. To succeed in the world of online reviews, marketing tricks do not work. Your product has to provide a value of five stars where others do not arrive. Talk to them. Centennials want to communicate directly with brands: more than a third of them would not buy a product if they can not ask questions. To earn their loyalty, dedicate individual and personalized attention. CEO y cofundador de Cyberclick. Cuenta con más de 20 años de experiencia en el mundo online. Es ingeniero y cursó un programa de Entrepreneurship en MIT, Massachusetts Institute of Technology. En 2012 fue nombrado uno de los 20 emprendedores más influyentes en España, menores de 40 años, según la Global Entrepreneurship Week 2012 e IESE. Autor de "La empresa más feliz del mundo" y "Diario de un Millennial".